The current term of the U.S. Supreme Court is just over two months old, and already the Court has heard arguments on affirmative action inhigher education and accepted a case challenging a key provision of the VotingRights Act. Tomorrow the Court may decide which, if any, gay rights cases it will hear. So there is no better time than tonight – at 6:30 p.m. to be precise - to bring together four leading experts to discuss the Supreme Court and the justices. That’s just what Alliance for Justice has done. 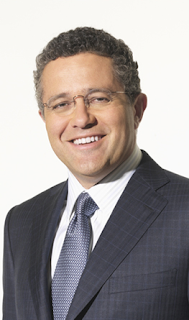 AFJ president Nan Aron will lead “A Conversation with Jeffrey Toobin,” legal analyst for CNN and The New Yorker and author of The Oath: The Obama White House and the Supreme Court. They will be joined by Emily Bazelon, senior editor of Slate and Prof. Kenji Yoshino of New York University School of Law. If you can’t be at the event in New York, you can still be a part of it. We’re live streaming from our homepage and hosting a discussion on our Facebook page – where you can add your own comments. We might use some of them when we report on the event back here on Friday. You also can take part in the discussion via Twitter (#AFJustice). So please join in the conversation tonight.